If you are considering building a green roof but are not sure you want to invest, there are many benefits from the application that will pay for itself over and over again. Whether you have an old house and want to reduce the energy bills or want a more sleek roof design, the Connecticut roofing contractor at Eagle Rivet can help. 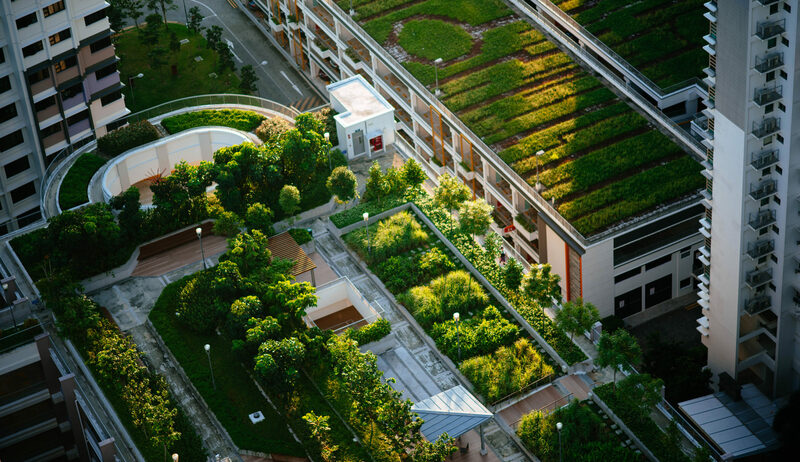 Green roofs not only reduce energy bills but also create cleaner, healthier cities. Green roofs are high quality and are in demand. The high quality green roofing system will use contained green space with plants, drainage layers and filter cloth. Since they are becoming more popular, this is creating more green jobs. This is creating significant growth in manufacturing, design, plant growth and maintenance for future green jobs. Since the roofs absorb any rain water by the substrate, it will be transferred over to plants and released back into the atmosphere through condensation. The reduction of stormwater runoff will reduce damage to your building’s exterior and will decrease the load on sewer systems. With a Green roof, you will have improved aesthetics which creates a beautiful environment. Having a roof that also doubles as a private garden will create a unique look and impressive look to your building. With an old roof, you can use CT roof replacement to switch to a new, sustainable green roof that will last for years. There are a number of health benefits when dealing with a green roofing application from our CT roofers. You will have improved air quality, capturing airborne pollutants, filtering gases, while the plants convert the air into C02 and release into the atmosphere. This will especially help a large city like Boston by reducing dust, smog, greenhouse gases and other matter, creating a cleaner urban environment. So if you were hesitant on investing in a green roof, know that the application will pay for itself. It will not only save you on energy, but will also contribute to a healthier environment, more jobs, stormwater management, an increase in plant population – and so much more! To get a free roof evaluation, contact Eagle Rivet today!